Xiaomi is primarily known for its attractive, cheap phones, but it’s getting into something new: the Internet of Things. It’s launching the “Mi Ecosystem” today, a new program which will sell internet-connected gadgets that work with its other devices. The company has a number of other devices already, including air and water purifiers, which will also sell under the brand. 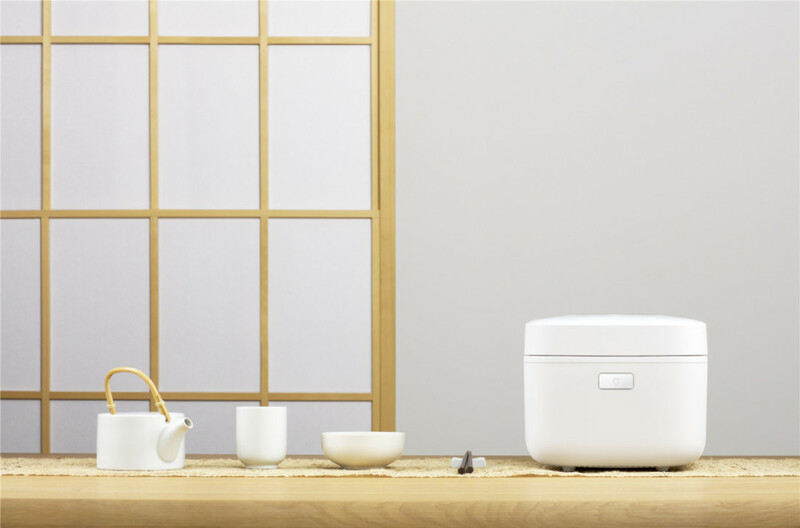 The first official Mi Ecosystem device is a rice cooker that can be controlled from your smartphone. It’s not immediately clear why it started with a rice cooker, but the company touts you’ll be able to customize the firmness of your rice remotely. Did anyone ask for that? I have no idea, but the common theme with the Internet of Things seems to be basically adding connectivity to devices that don’t necessarily need to be online. Regardless, the company says it’s invested in 55 companies that design smart products and has plans to invest in even more ‘smart’ products in the future. We’re rapidly hurtling toward a future where everything in your home is internet-connected whether you like it or not. Xiaomi’s joining a plethora of other companies in trying to own that, competing with Apple’s HomeKit and Google’s Brillo. If you want your rice cooker to be online, it’ll set you back a whopping $150. Read next: Win a $1,400 DJI Phantom 4 drone!